FULAFIA School Fees – The amount payable as school fees by the newly admitted undergraduate students of the Federal University, Lafia (FULAFIA), Nasarawa State, for the 2018/2019 academic session has been released. 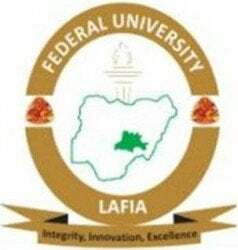 This is to inform all the undergraduate students of the Federal University, Lafia (FULAFIA), that the management of the institution has released the amount they are required to pay as school fees for the 2018/2019 academic session. Any Latest News From HND ADMISSION LIST IN ADO POLY. when is fulafia bringing Nursing? can one gain admission into the department of computer education under the faculty of education?